Unique in the fact that it is the UK’s only island city, Portsmouth has a long and proud history as one of Britain’s great naval ports. Home to the world’s oldest dry dock and notable for berthing world famous ships, including HMS Warrior, the Tudor carrack Mary Rose and Lord Nelson's flagship, HMS Victory, Portsmouth is still a major dockyard and base for The Royal Navy. The City of Portsmouth and Portsmouth Football Club are both nicknamed Pompey. 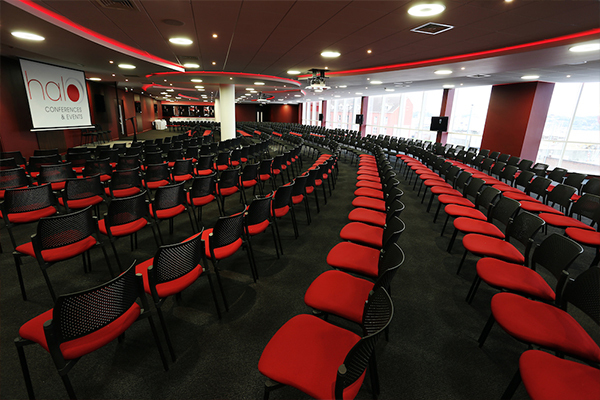 Halo Conference and Events are the operational team dedicated to delivering bespoke and unique client events at Southampton Football Club, Hampshire’s most versatile venue. 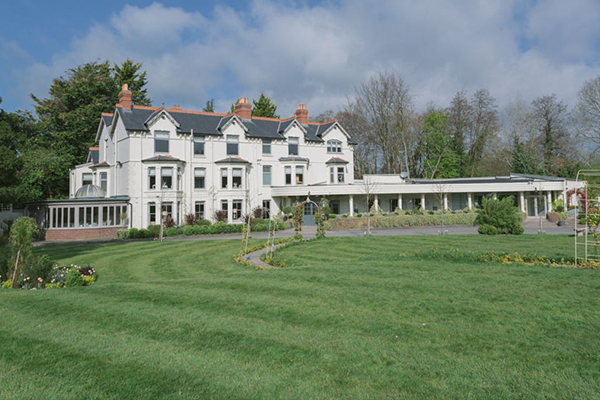 Southdowns Manor is an ideal location for your corporate party, business conference, exhibition, seminar or training event. 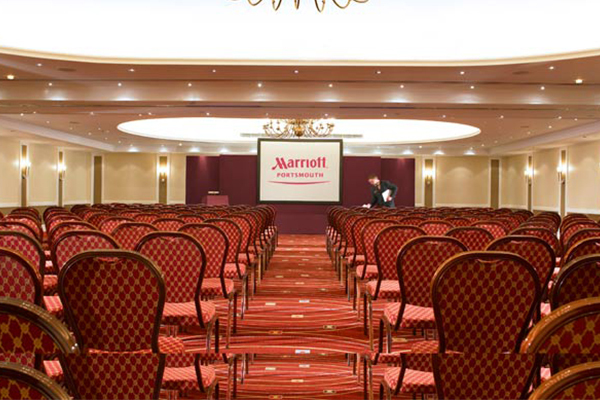 We have also hosted many charity events, Christmas parties, product launches and team building days. 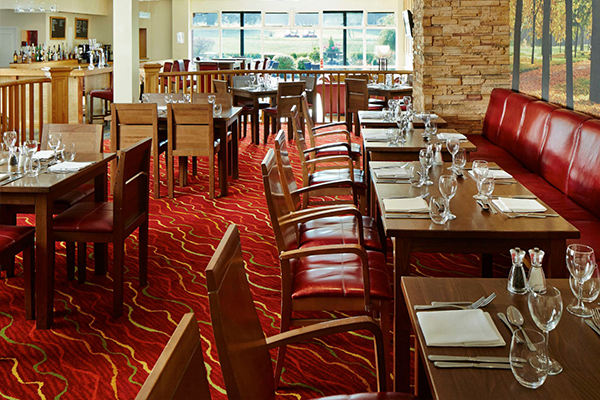 Set in 225 wooded acres of rolling countryside on England's south coast this Southampton Hotel, Meon Valley, A Marriott Hotel & Country Club enjoys a secluded environment near the motorway and just over 1 hour from London. 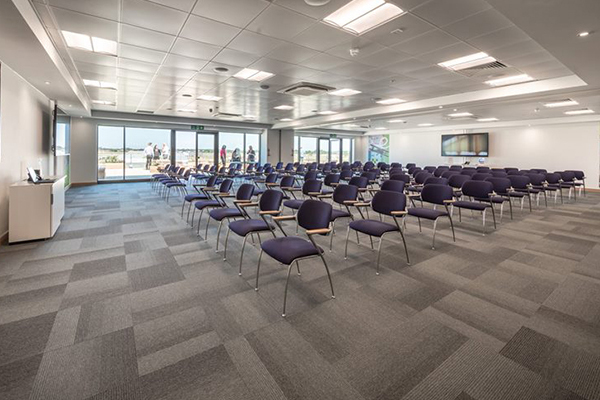 With a tenth of the city involved in the biggest industry, defence, allied to major employers such as IBM and Zurich Financial Services, there are an abundance of conference venues in Portsmouth to choose from. Great transport links including the A3 motorway and regular train services direct to London means that business meetings in Portsmouth are a regular occurrence. 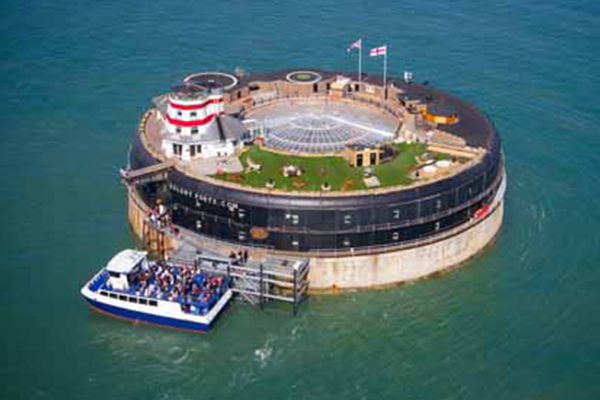 Corporate Training venues in Portsmouth are also in high demand. Renowned for its culture, with 4 Victorian/Edwardian theatres and The Guildhall, an imposing neoclassical building designed by William Hill, there are numerous examples of live music venues and corporate event venues in Portsmouth all tailored to suit the needs of your company. Maybe you are looking to reward your employees by booking an award ceremony venue in Portsmouth, or a banqueting venue to entertain corporate guests, you will find a range of venues in all sizes and capacities to suit your requirements. The city has a vibrant Asian community and as such, Portsmouth Asian wedding venues are in plentiful supply, as are civil wedding ceremony venues in Portsmouth, whatever your requirements for your big day, you won’t be disappointed. You may be looking for a party venue, for a celebration, a graduation party, or even a retirement celebration, with a bubbling nightlife based around the docks and Southsea you will find your perfect venue easily. If your company is looking to celebrate the festivities, then office Christmas party venues in Portsmouth will not be difficult to find, but due to high demand during the Christmas season, remember to book your venue well in advance. All in all Portsmouth is the ideal city for business, shopping and nightlife, why not pay a visit?